Music is certainly an important part of ministry – but let me tell you, it’s also a huge factor when you’re about to be cooped up in a car with a four year old, an eight year old and a wife that’s trying to be all things to all occupants on a six-hour road trip vacation. So, as spouse was making sure that everybody had socks, underwear, swimsuits, Doritos and Vacation Bible School cookies (you know, the nasty 1,000 pack for 99 cents), I appointed myself as the official music play list builder. The effort to get all of my music corralled into a digital format was not without its hurdles, mind you. In fact, approaching midnight, when yours truly, the appointed pilot for the next day, should have been sawing logs, he was actually experiencing slapped forehead – “I knew that” – moments as he tried to figure out how he was going to make music in the car work. Playing the radio or humming songs would have been far too easy. Before we get to my late night “forehead slapping” moments, let me set the stage. Digital audio is digital because it’s sampled sound. Simply, the more of the original source you sample, the more like the original it’s supposed to be. Same with audio. Therefore, the higher the sampling rate, the better the quality. For example, CD quality is 44.1 kHz, which means the music is sampled digitally 44,100 times per second. Audio samples come from sound waves. Therefore, you’ll often hear audio files generically referred to as “.wav” files, just as tissue is referred to as Klennex, however “.wav” files are the PC based native audio file format whereas “.aiff” is the native Apple audio file format. These files can be quite large, and the object of the audio game has been to make these audio files as small as possible because of limited storage capacity. This is done with compression. The goal, in the meantime, is to maintain sonic quality. From these native formats, digital audio goes off in seemingly a million directions with multiple compression formats and multiple devices on which to play them – devices, mind you that often won’t accommodate another’s file format. This scenario leads up to some major late night, forehead slapping moments. So it was approaching midnight, and I was trying to get the music loaded for our trip. I thought building an MP3 CD would be cool. Back at Christmas I got a car radio that could play WMA (Windows Media Audio) and MP3 files from CD. Typically, most car audio systems only play audio CDs, but mine will play a data CD with tunes. Good idea, I thought. I was going to burn an MP3 CD using iTunes, which, by the way, comes in a Windows version that I love and have running on my Windows PC. Not so fast! Half of the tunes I had chosen to burn were “grayed out” and weren’t available to burn. Why? A head slapping moment! Turns out the grayed tunes were in the Apple proprietary ACC format – sort of like an MP3 in that they’re compressed, but they’re not an MP3 at all. “Dog gone it. This is not going to work,” I said to myself. To get the ACC tunes into an MP3 format, I would have had to burn an audio CD (that file extension is .da) and then “rip” (digitally extract) that audio CD into MP3 files. A CD holds 650 megabytes worth of data, so at an average of four megabytes per tune, I could have packed 160 or so MP3s on a data CD. Great plan, but with multiple formats at hand, it wasn’t going to work, plus I needed sleep more than I needed this late night conversion experience. So I opted to use my iPod. But again, not so fast! An hour or so before this moment, I had downloaded about a dozen tunes from Wal-mart.com’s music service. Guess what – they were in the WMA format, which is not accepted by the iPod. Another head slappin’ moment. So I loaded those 12 tunes into Windows Media Player, burned a regular ole audio CD, then used iTunes to “rip” those tunes out as MP3s. It took about 20 minutes to do all of this. Now I have ACCs (Apple’s proprietary download format) and MP3s in front of me, formats suitable for the iPod. All I had left to do was build my play list in iTunes for exporting to my iPod for the road trip. By the way, that new radio I got at Christmas also has an “AUX IN” feature so I can connect my iPod to my radio without using the little FM transmitter devices, which will work, but are aggravating because they force you into looking for clear frequencies and a fresh set of batteries way too often. So as the clock struck 12, I had my tunes ready to travel, despite much travail. 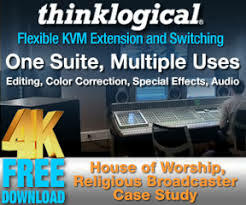 This scenario is not unlike one that you could face personally, for your own listening pleasure or in creating a digital “reel” for Sunday morning worship. With that in mind, here are a few stark reminders. Start with the highest quality audio file sample that you can, realizing these native audio formats eat up precious hard drive space. For example, a stereo three-minute song recorded at 44.1 KHz consumes about 32MB of space. You can always reduce quality (compress) but you can’t improve the sonic quality of a file if the data is not there to begin with. Choose your compression formats carefully. You’ll discover two routes: lossy compression and lossless compression. Usually, a lossless compressed file is about half the size of the original file. A lossy compressed file, like an MP3, can take the file on down to 10 percent of the original, which is why MP3 players are so popular. Lossy compression’s way of making files smaller includes the elimination of data that our human ears wouldn’t have been able to detect anyway and it works by eliminating duplicate data. Sampling experts say Windows Media Audio Lossless (WMA, the same file extension as the normal Windows Media Audio files) is currently the best method to compress files “one step down” from their original, but not nearly as reduced in quality (or size) as an MP3 or ACC. WMA Lossless is a format often used for archiving CDs to one’s hard drive in a home theatre environment, for example. Lossy compression, which includes most available compression formats (like MP3, AAC, Mp3PRO, Real Audio) has the ability to compress to the point that there’s a noticeable difference in the compressed file (depending upon the rate you “rip” or record the file). 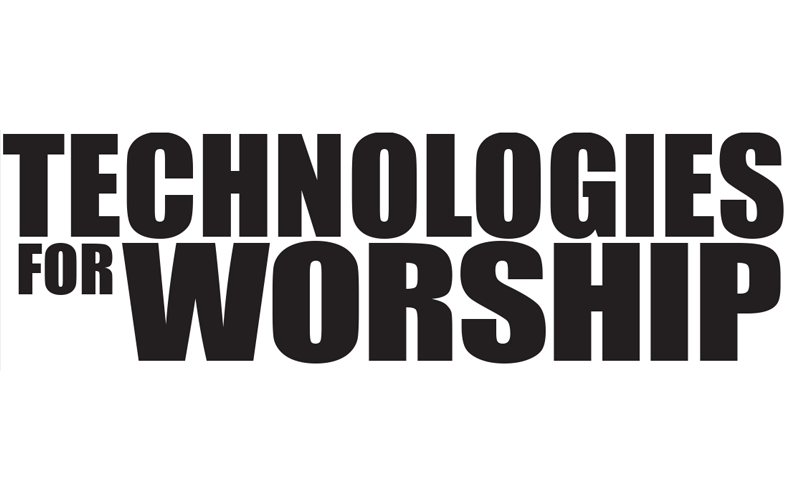 Remember, there’s great sampling and hard drive savings to be experienced from taking sermon audio to be archived and converting it to mono. Abide by all copyright rules and regulations. My personal strategy is to make sure I own either the original CD or I’ve purchased the music from a legitimate source on-line. I do not give my files away nor do I accept files from friends. Plus, downloads are cheap. For example, an iTune song is 99 cents and Wal-mart tunes are 88 cents each. 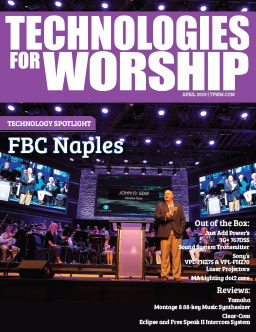 A myriad of possibilities exist on the church campus where digital audio is in use – from capturing the worship service to making MP3s of sermons available for on-line downloads. Hopefully, after reading this, your own digital experiences won’t prompt too many head slappin’ moments, but, in fact, will lead to some major toe tappin’ or foot stompin’ good times.